Rachel Dolezal nearly wrecked everyone’s Father’s Day. You don’t often see a daughter outed so publicly by her white father for passing as an African American, but I guess post-racial filial love isn’t necessarily unconditional. I admit to being somewhat sympathetic of Rachel D., at first. The Census, our demographic standard, is, after all, a “you are what you say you are” proposition. You can self-identify to your heart’s content. No one is going to enforce a “one drop rule,” like they did in Virginia for hundreds of years to keep marriage a segregated institution. 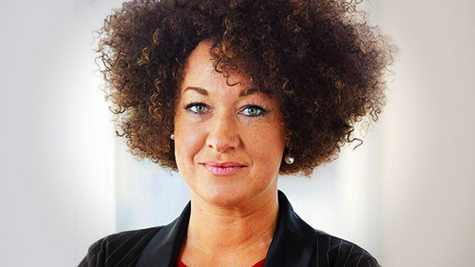 I’m sure you too were begging for another big story to knock old Rachel D. back into obscurity, as Dolezal caught flak from all sides of the race debate. But she did show how America isn’t really ready to tackle the 21st century racial identity problems she poses. Is race really as fluid as she says? If a biological white person can be black, then why don’t we simply solve our diversity ills by having all whites declare themselves people of color? Why bother finding, recruiting, and training real people of color? Solving diversity with white privilege would be an HR officer’s dream. That might aid “No Drop” Rachel in her self-identifying claim, but it sure creates categorical issues. For example, 60 percent of black/white biracials saw themselves as black. And the others were white? Biracial Asian/whites were just the opposite, quick to identify more white than Asian. And yet white/Asian biracials were still subjected to slurs and jokes at the same level as white/black biracials. Being part white is no passport to acceptance. If you think race is complicated now, just wait a generation. In the meantime, as Rachel D. recedes from the headlines, who expected she’d be shoved from the news by Dylann Roof? The emergence of Roof and his old school white supremacy is a reminder that the bad old things of the past have never been truly dealt with and are still a pus ball away at all times. South Carolina has white supremacy all over its historical DNA. 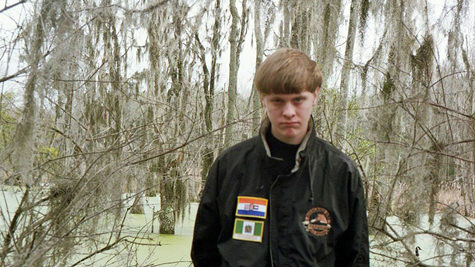 But the profile of Roof that emerges is one of young, fresh-faced millennial racism. Sexual anxiety mixed with vindictive white supremacy? When I heard Roof say that, it practically made my Father’s Day. That’s the kind of talk Filipino Americans heard from whites in one of the more racist periods in California in the 1920s and 1930s. My favorite passages in Ron Takaki’s “Strangers from a Different Shore” are those on the fears of white men that Filipinos were taking their jobs and their women. But before any legislation, there were numerous instances of violence throughout California against Fillipinos. The most famous case involved hundreds of white men armed with pistols and clubs in Watsonville, January 1930, which ended in the shooting death of 22-year-old Fermin Tobera. Roof’s deeds at the historical Emanuel AME church? Asian Americans deplore the act. We too have felt the sting of white supremacy past and stand united against it in the present. My youngest daughter had never heard of Fermin Tobera, or the white exclusionists of California in her grandfather’s day. I gave her a copy of Takaki’s famous Asian American historical narrative. It was her Father’s Day gift from me.